Painting Companies in Sydney is your one stop solution for seeking advanced waterproofing facilities. The installations are conducted using highest grade materials and advanced technicalities. There are several properties across Sydney which have to continuously face water seepage due to poor water proofing. 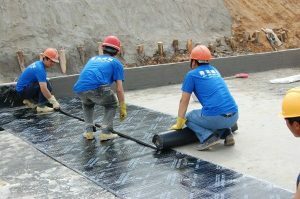 We offer waterproofing on areas like garage, water closets, walls and various structures which will be able to withstand water ingress to a higher level.